Up to $1M is available from Accelerating Commercialisation (Commercialisation Australia) to commercialise novel products, processes and services. 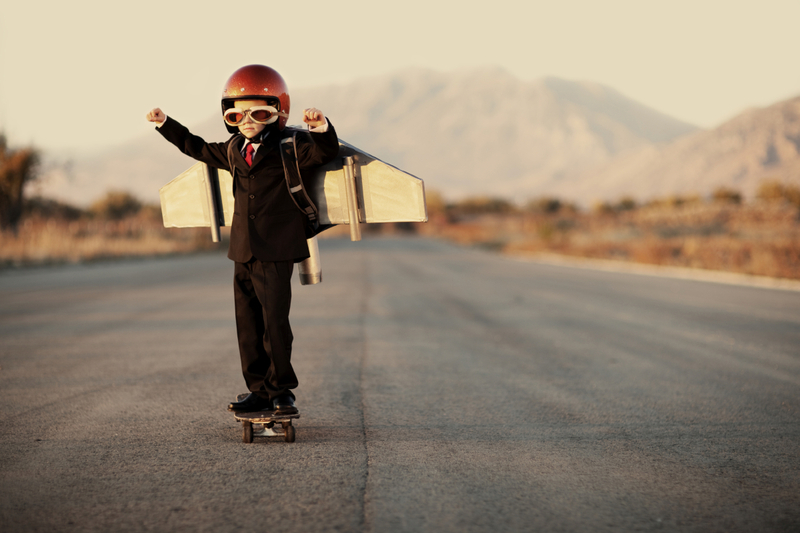 Accelerating Commercialisation is focused on helping start-up companies commercialise new technology. Accelerating Commercialisation, formally called Commercialisation Australia, helps Australian entrepreneurs, researchers, inventors, start-ups, Commercialisation Offices and small and medium enterprises address the challenges associated with commercialising novel intellectual property in the form of new products, processes and/or services. entrepreneurs, businesses and researchers address key challenges in the commercialisation pathway of bringing novel products, processes and services to the market. Accelerating Commercialisation is a key offering under the Entrepreneurs’ Programme (EP). The objective of EP is to drive business growth and competitiveness through support for business improvement and promoting economic growth through research connections and commercialisation of novel products, processes and services. enabling technologies and services that support one or more of the priority industries above. An important service offered by Accelerating Commercialisation is its promotion of its Portfolio of Australian businesses receiving its financial and non-financial support. The Portfolio creates additional commercialisation and partnering opportunities for participating businesses. financing; develop their products, services and systems for markets; and develop business networks and markets. Business Development Advisers with international business development and partner management experience also assist participants to broaden their domestic and international networks. The Expert Network includes successful entrepreneurs, domain experts, professional investors and strategic corporations. Network members are willing to share their experience with Portfolio companies. This is a valuable resource which often leads to critical connections and funding opportunities. Members of the Portfolio may have access to networking and promotion opportunities that are not readily available to other businesses. The activities promote investment and collaborative opportunities and can include networking events, exposure to international trade missions, or opportunities to join Australian delegations to major global events. Management – Engage a senior experienced executive to fill a key gap in the management team, which is essential to achievement of your commercialisation outcomes. be an individual, partnership or trustee who agrees to form an Eligible Corporation that is non tax-exempt and is registered for GST before signing a Funding Agreement. The maximum grant amount is $250,000 for Commercialisation Offices and Eligible Partner Entities, and $1 million for all other applicants. 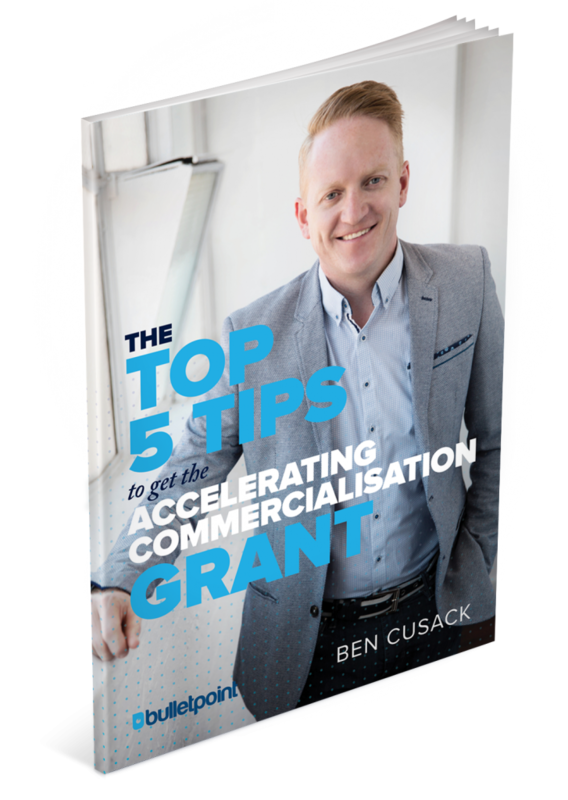 Accelerating Commercialisation (Commercialisation Australia) applicants are required to match Accelerating Commercialisation funding for your project on at least a 50:50 basis. Over $100 million has been given out. Applications are accepted for Accelerating Commercialisation on a continuous basis. Applications are considered by the committee every 6 to 8 weeks. This seminar provides businesses who have a novel product, process or service with information about the advice and funding offered under the Accelerating Commercialisation grant. meet investors and multinationals through domestic and international roadshows. Osler Technology has developed a Clinical Performance Platform for medical practitioners to record, monitor and analyse their clinical practice. By ensuring clinicians are appropriately trained using mobile technology at the patient bedside, Osler Technology reduces preventable patient harm that results in additional operational cost, litigation and human toll across health systems. Accelerating Commercialisation support will be used to help Osler Technology Pty Ltd complete and secure further Beta trials; complete the development of the application’s commercial release, secure its first commercial customers and; develop an entry plan for international markets. Advanced Agricultural Systems has developed autonomous, robotic machines for use in agriculture. This technology will save on labour, reduce farm costs, increase yields, use inputs more efficiently and reduce the environmental impacts of agriculture. The commercial weed spraying project is the key step towards the overall commercialisation of robots as part of a new proven farming system. Accelerating Commercialisation support will be used to help SwarmFarm commercialise agricultural robotics and create a new industry resulting in increased productivity, in both Australian and International agriculture. The Yield has developed innovative Internet of Things technology which is designed to improve oyster growers’ yields and profitability through reducing unnecessary harvest closures, improving labour scheduling and tracking food safety. Accelerating Commercialisation is helping The Yield commercialise its products enabling sales, investment and global licensing revenue. It will contribute to Australia’s global reputation for high quality food exports. Bluedot Innovation has developed novel location-based software enabling a new generation of local-based commerce. Commercialisation Australia funding will be used to engage expert service providers to help build a commercial strategy, and to validate the performance and benefits of this software with key commercial partners. 360 Knee Systems uses specialised 3D mapping to improve the experiences of patients undergoing knee replacement. With assistance from Accelerating Commercialisation, 360 Knee Systems is growing and looking to expand into new international markets. The company believes in a holistic approach to treatment, and engages with patients at least three months before their surgery to conduct assessments that help better understand and meet the expectations of each patient. As part of this process, 360 Knee Systems uses state of the art 3D mapping technology to customise surgery and treatment plans. First, a CT scan is conducted to map the patient’s knee. This scan is loaded into a physics engine simulation environment, and the knee replacement is simulated. Through a combination of Bayesian statistics networks, machine learning and artificial intelligence, data predictions are then made, allowing for customisation of the knee reconstruction procedure to ensure the best outcome for each patient. 360 Knee Systems use the mapping to support patients treatment for up to 18 months post-surgery after their knee reconstruction. “If you were going to build a building or a plane, you’d run the design through a simulation to test the finished product and calculate error margins beforehand. In orthopaedics the process should be no different,” says Bede O’Connor, Managing Director, 360 Knee Systems. Bede says the Accelerating Commercialisation grant has directly helped the company by giving them the confidence to invest in expansion that includes employing more people, at their Sydney based facility. He says an indirect outcome was the increase in reputation and awareness that the company gained after it was announced they were successful in obtaining the grant. 360 Knee Systems have received considerable interest from commercial manufacturers wanting to partner with the company. In the past two years 360 Knee Systems have helped more than 3000 patients across Australia and have treated 200 patients in the United States. The company is looking to rapidly expand their US customer base, and move into the Japanese market in the next 12 months. “We are the best in the world at what we do, which is the combinational approach to orthopaedic surgery through computational science, data prediction and mechanical engineering,” Bede adds. An innovative company has taken inspiration from the Fitbit® to develop a machine sensor that will save time, money and even lives. MOVUS Australia Pty Ltd’s FitMachine® is used to track the health of machines—just like the Fitbit tracks the health of humans. The development, deployment and commercialisation of the system is supported by $231,950 in funding through an Accelerating Commercialisation grant provided by the Australian Government’s Entrepreneurs’ Programme. The FitMachine allows manufacturers to track critical factors like vibration, noise and temperature fluctuations in their machinery, giving greater insight into how fast the machinery is deteriorating and allowing maintenance teams to more quickly respond to problems. John has over 30 years corporate experience in the life science and industrial biotechnology sector having held senior management positions within both established multinational and private and/or public start-up companies. John is an experienced, independent corporate advisor to the technology sector with domain expertise in the life sciences space; specifically biopharmaceuticals, medical devices, regenerative medicine, telehealth and diagnostics. He has extensive commercialisation experience in human and veterinary healthcare, agritech, energy, environment and sustainability with significant exposure to security and ICT technologies. John has a Bachelor of Science, Masters of Science, Masters of Business Administration and is a Graduate of the Australian Institute of Company Directors. He has 15 years experience as a company director and maintains extensive technical, commercial and capital raising networks both nationally and globally. Malcolm has been involved in various aspects of commercialisation for over 20 years. He has experience in venture capital, senior management and the commercialisation of university research. He has also operated his own corporate advisory business; focusing on strategic advice, business planning, acquisitions, business sales and fund raising for small and medium enterprises. Malcolm has a Bachelor of Engineering (First Class Honours) from The University of Sydney and a Masters of Business Administration from the Australian Graduate School of Management. He is a member of the Australian Institute of Company Directors. Maureen has a strong commercial background with more than 25 years’ experience in commercialisation of innovative new technologies. She has held senior executive positions (CEO, Managing Director, and Director) in globally oriented industries including satellite communications, ICT, and digital media. As an independent corporate advisor, Maureen has worked with large corporations, universities, and start-ups in Australia and internationally. She has managed businesses from early stage through to exit, and has invested in and held contract senior positions with a wide range of technology based start-up businesses in ICT, biotechnology, and renewable energy. Expert in strategic planning, new business development, and due diligence, she is an adviser to early-stage ventures, with a focus on emerging and disruptive technologies. Maureen has particular expertise in strategy execution; clearing the path to successful commercialisation by translating concepts and plans into actions and overcoming the obstacles that hinder achievement of strategic goals. Her extensive network covers the technology SME, university research, start-up accelerators, angel investment, venture capital and corporate innovation sectors. Maureen holds a Master of Business and Technology degree from the Australian Graduate School of Management and is a Member of the Australian Institute of Company Directors. With extensive senior executive experience gained over a 30 year career, Murray possesses significant information technology related business, strategy, governance and investment experience in a wide range of ICT enabled industries. This experience is on both a domestic & international scale and for both the public and private sectors. He has an established track record in the conceptualisation, implementation, support and review of key business initiatives and technical strategies and the application of disruptive innovation. Murray has won numerous national business awards including the Telstra Small Business of The Year, AIIA iAward – Most Innovative Product, 17th in Deloitte’s Tech-Fast50 and Emerging Exporter of the Year. He holds under and post-graduate qualifications in business, organisational psychology and entrepreneurship. He is a sought after speaker on entrepreneurial challenges and has been a guest lecturer in business strategy at ANU, Macquarie University & Melbourne Business School. Murray has been involved in a number of government investment and ICT advisory boards and also in a range of innovative start-up companies utilising his experience in governance, capital raising, rapid growth and value-realisation strategies. Nigel is a very experienced senior executive and director with in-depth experience in water technology, agribusiness, transport, wireless communications, software intensive systems, spatial technologies, intelligence and defence systems. He holds a degree in Cybernetics and Mathematics with a post graduate degree in Oceanography and Meteorology. Nigel has experience as a senior executive and CEO in product development and delivery in a range of private and listed companies in Australia, the United Kingdom and United States. Nigel is a Fellow of the Australian Institute of Company Directors, Member of the Turnaround Association and held Government Committee positions on software intellectual property, Defence Contracting and Water. Nigel has successfully started companies in the United States and Australia; raised capital; undertaken turnarounds and sold and bought businesses privately and on the stock exchange. He has won numerous awards and been recognised as a leader in innovation, entrepreneurship, commercialisation and international business development. Topaz realised her entrepreneur roots at 8 years old but has spent the past 20+ years working with growth companies across multiple industries, including starting and successfully exiting two companies herself. She has worked in hi-tech, biotech, and founded an internet wine company, but her skills and passion have been in guiding companies through investment, development (including FDA), manufacturing, product launch and exit, in the US and Australian markets. From earlier years in the bio-medical space at the Garvan Institute and Deputy Director role at the Mater Medical Research Institute, Topaz has worked on multiple sides of research, development, and commercialisation, including venture capital at Pacific Horizon Ventures in Seattle, CEO of Cytopeia – a US bio-engineering company, and being an angel investor in multiple startups in Australia and the US. Strategy, funding and partnerships are her strengths. Topaz is a Commercialisation Adviser for Accelerating Commercialisation, is a Graduate of the Australian Institute of Company Directors and currently is Chair of PAFtec Pty Ltd and Springboard Enterprises Australia. Allan has had experience over 30 years in technology and business as an entrepreneur, venture capital investor, management consultant and engineer. His most recent start-up is a fast-growing energy services company which has become a leader in implementing innovative embedded generation technologies. Allan’s career included nearly a decade in management consulting, with large international consulting firms including McKinsey and Co, with exposure to a variety of industries, business and management issues. Allan’s career started in engineering, initially in the aerospace industry and later in IT with IBM Australia. He was also co-founder and, for more than 20-years, a director, of Technology Venture Partners (TVP) – one of Australia’s largest venture capital funds. During this period, Allan established the Silicon Valley office of TVP and invested over $240million in more than 25 start-up and early-expansion technology-focussed companies based in Australia, the USA, Europe and Asia. Allan assisted these companies to raise more than $620m in equity and more than $30m in grant funds and was actively involved in their exits via international trade sales and public listings. He was also involved in strategy, recruiting, R&D and intellectual property, international development, marketing and sales. He previously served on grant and loan committees for the Commonwealth and Tasmanian Governments and was an invited delegate to the Australia-European Joint Science and Technology Cooperation Committee let by the Prime Minister’s Chief Scientist. He holds a B. Eng. (Aerospace); is qualifying for an M. Eng. (Sustainable and Renewable Energy);and holds an MBA and is a Graduate of the Australian Institute of Company Directors. He is particularly passionate about the future of our economy and environment, particularly in relation to social and regional development issues. Allan is also a keen traveller, aviator and car enthusiast. Chris is an experienced Executive Manager, Board Director and Management Consultant, with a proven international track record of success and innovation in challenging business environments. His working life started as a design engineer working for the Marconi Company in the UK, where he progressed rapidly into the management ranks and then won a Sainsbury scholarship to study for an international MBA at IMD in Switzerland, consistently ranked as one of the world’s top business schools. Following a spell in management consulting, Chris has since been the CEO or chairman of eleven high growth, high tech businesses over the past seventeen years, five in Australia. He has sold products and services across 23 countries worldwide. Chris’s speciality is in working closely with executives to help them manage significant new business challenges, especially in business start-up, early stage and high growth phases, but also more mature businesses facing new market entry, turnarounds, and downsizing. As a CEO, he has personally navigated businesses across the “valley of death” to achieve commercial success and whilst doing so has raised almost $25m of equity funding and approximately $6m in government grants, most of that in Australia. Chris also has honours degrees in Engineering and Law and is a Fellow of the Institute of Engineering and Technology, a Fellow of the Australian Institute of Management and a Member of the AICD. Gregor has more than 15 years of international financial and business management experience and has managed companies as a venture capital investor for eight years. Prior to that, he successfully commercialised clean-tech and biotech companies in the UK and held academic positions at Imperial College London and the University of Cambridge UK, where he worked on novel light-emitting, sensing and photovoltaic materials. He is a graduate member of the Australian Institute of Company Directors. His Board experience as a Chair, Director and Observer include many Australian and US-based life science companies. He has more recently been the CEO for clinical drug and device companies and acted as an advisor to a US-based healthcare investment bank and therapeutics focused venture capital firms. He obtained his BSc (Hons) from Lund University, Sweden, was an Erasmus scholar at the Debye Institute, Utrecht University, The Netherlands and received his PhD in organic chemistry from Queen Mary College, University of London UK. Keith has more than 30 years experience in senior management in large technology companies and government organisations. He has an established track record in commercialisation of new technologies, products and services; establishment and growth of new companies; strategic management of intellectual property; corporate and technical strategic planning; capital raising; and governance of small to medium sized companies. He has been involved with start-up companies in a diverse range of sectors (biotechnology, life sciences, medical devices, agriculture, food, water, software, fishing, manufacturing, consumer goods), and has served as chair or non-executive director of a number of these companies. Keith has a Doctor of Philosophy (Chemistry), a Masters of Agricultural Science, and a Bachelor of Agricultural Science. Stephen Davis has a background in both technology and business, and specialises in the development and commercialisation of new products of a technical nature. He has a domain background in the physical sciences with a PhD in physical chemistry. He has worked with a variety of technology-based enterprises many with a focus on sensing technologies, and has assessed numerous products for commercial viability across the general technology space. Stephen has experience across the full range of the technical business area: having been both an R&D scientist and manager, the founder and CEO of start-up companies, manager of a manufacturing business within a large multinational corporate structure, and a business consultant. As a CEO of technology based companies Stephen has continued to keep close ties with R&D and product development. In most roles with technology companies he has also made a contribution to the IP generated. Stephen is an inventor on 19 patents to date. Stuart has more than 35 years experience in life sciences, with over 110 scientific papers, and has held senior management roles in the public and private sectors. Stuart was Vice President, Research and Development for Panbio Ltd from 2002. He reorganised the company’s research and development activities, leading a number of significant improvements in the operational areas of Panbio, eventually being promoted to Chief Executive Officer. Currently the Managing Director of Fusidium Pty Ltd, he is engaged in consulting activities, including interim CEO roles, strategic planning and business development within the life sciences sector. A Graduate Member of the Australian Institute of Company Directors, he sits on the Board of Research Australia Ltd, is Chair of the Advisory Board of Rapid Detection Pty Ltd, and State Chair of the Queensland Branch of AusBiotech. Stuart is actively involved in the biomedical community as Chair of the Biotechnology and Medical Device Industry Forum. Ann has a 25 year business background with international experience in introducing new products to new markets. She has worked for Australian start-up technology companies in addition to a US technology company and her own medical device company, exercising particular skills in market entry strategy and distribution chain management. Ann has particular interest in medical device regulations, with experience in navigating this process in several countries including an appeal process with the US Food and Drug Administration. She has managed product development/manufacturing for several new products, with an emphasis on low cost product development to gain market feedback. Her background includes investment management for an early stage VC fund, and South Australian university/industry collaboration. Ann is a graduate of the Institute of Company Directors. Doug is a business focussed, entrepreneurial, technology literate leader with significant expertise in fast growth businesses commercialising technology across a range of industry sectors, with a focus on IT, media and online enterprises. He has founded, co-founded and managed several fast growth technology businesses in Australia, the UK and Europe, leading to well developed strategic board level and management skills in Australian and international markets. He has also managed a portfolio of ICT investments for an early stage venture capital fund, and been business advisor/mentor for many growing businesses. Doug has qualifications in Electronic Engineering, Finance, and Venture Capital, and is a Graduate of the Australian Institute of Company Directors. Grant has over 20 years experience in establishing and leading innovative technology based companies including the co-founding of two leading ICT startups, both delivering unique solutions to high profile clients, nationally and internationally. As CEO of an ICT start-up, Grant oversaw research and development and the commercialisation of a diverse range of technology based products and services including specific expertise in the mobile application space. His work has afforded him the opportunity to assist companies across diverse sectors and industries including wine, oil and gas, education, law enforcement, construction, manufacturing, real estate, publishing, electronics, finance and more. With a background in industrial design, Grant is adept at creative problem solving. He has experience in providing mentoring to early stage technology start-ups. Grant holds a Bachelor of Design: Industrial Design (University of South Australia) and has represented the SA ICT industry in an advisory capacity to the State Government and with AIMIA nationally during its formative years. Elane is an experienced and effective business leader in the life sciences sector. She provides strategic advisory and commercialisation consulting services to companies and universities, including those needing change or start-up strategies that involve significant risk management due to limited funding and uncertainty about future opportunities. She has held senior executive roles in start-up and multinational companies and universities, and board and advisory roles in the private sector, with universities, CRCs and State and Federal government committees. She continues to grow her extensive technical, commercial and capital raising networks in Australia and overseas. Elane has a Bachelor of Science (Hons), PhD, and Graduate Diploma of Business (Marketing) from Monash University, and is a Fellow of the Australian Institute of Company Directors. Joe has over 25 years experience in technology, start-ups and business development. Despite starting life as a programmer Joe quickly moved into the sales and management disciplines with a flair for marketing and innovation. Joe worked for a number of large organisations before venturing into his own business for the first time in 1992. From there Joe has founded eight start-ups in the last 20 years. On balance Joe has experienced/achieved more success than failures with lessons learnt every time – especially the failures. Joe has worked for long periods in many cities including San Francisco, London, Kuala Lumpur, and Sydney and has developed valuable networks globally. Joe embraced mobile technology early – well before the iPhone was even first launched – and is well recognised as an expert in the field and spent four years as a contributing writer for Marketing Magazine on business and marketing within the mobile marketplace. Joe’s skills are wide and diverse having experienced the lean start-up demands of taking businesses through the commercialisation phases. He is well respected for his business development, strategy, sales & marketing skills with hands-on experience in eCommerce, mobile apps and web development. Joe is also well versed in the finance and legal aspects of business/corporate governance including patents. Following a three year period on the Board of Variety Charity, Joe continues contributing his time and experience to various charities and undertakes mentoring of emerging entrepreneurs and advising others to help them achieve their goals. Joe also has vast experience in public speaking and was well regarded as a regular speaker at numerous business and marketing events both in Australia and the US. Peter is an executive with broad experience in managing intellectual property and growing technology ventures. He has a deep appreciation of all aspects in new business creation, including intellectual property identification and protection, market assessment and business planning, capital raising, implementing appropriate legal frameworks and developing new distribution channels. Peter has worked with consulting firms, technology start-ups, universities and large corporations in Australia and overseas, including Telstra, Ernst & Young, Ericsson, BIS Shrapnel, Monash and Melbourne Universities. He has Bachelor of Commerce from University of Melbourne, Masters of Business Administration from the Australian Graduate School of Management (UNSW) and is a Graduate of the Australian Institute of Company Directors. Rob has 20 years of commercialisation and business development experience with a particular focus on the life sciences sector. Rob is the founder of Concept2Clinic, offering strategic advice to a number of biotechnology companies. Rob has founded and transitioned several start-up companies both in Australia and the UK, including most recently as the inaugural CEO of ASX-listed cancer drug company Prescient Therapeutics. As former Head of Melbourne Operations for Arana Therapeutics, Rob played a key role in Arana’s successful acquisition by US-based Cephalon Incorporated. Rob has an academic background in Genetics from Trinity College Dublin, Ireland, a PhD in cancer research from The University of Glasgow, and a Howard Hughes post-doctoral fellowship from Baylor College of Medicine, Houston, Texas. Ron has run a successful management consulting practice for 30 years, delivering a broad range of services to public and private sector organisations throughout Australia and overseas. His core skills are in business strategy, market research and technology commercialisation. He has also held interim CEO and directorship positions with technology start-ups, private and public companies, particularly in the food, agribusiness, electronics, engineering and manufacturing sectors. His most recent role was as Technology and Innovation Adviser with the CSIRO, where he provided specialist advice on technological innovation for Australian small to medium enterprises. He has a Bachelor of Chemical Engineering (Hons) and Bachelor of Economics. Stephen has 30 years’ experience in developing products for the life sciences sector with a customer focus on managing and directing design, development and clinical evaluation for this highly regulated environment. He has manufactured products for international markets and facilitated agreements with several multinational companies. Stephen has co-founded two new Australian businesses and has held senior executive and board positions with several public and listed Australian companies. His core skills include biopharma operations, development and regulatory strategy and technology commercialisation. Stephen has a PhD from University of Queensland, a Master of Applied Science and Master of Business Administration from Queensland University of Technology and is a Graduate of the Australian Institute of Company Directors. Sheryl’s expertise is in healthcare, biometrics, IT and marketing. She has an extensive network of international and local business contacts throughout Southern Africa, the UK, Canada and the US. Sheryl maintains positions on the Executive Board of Australian Women in IT, Science and Engineering (AWISE), as Vice President since 2008, and as Secretary of Women in Technology WA (WITWA) since 2006. Sheryl began her career studying physiotherapy at the University of the Witwatersrand in South Africa and has acquired extensive technology and business skills over the years in many and varied roles including as a systems engineer and programmer, in sales, marketing and management. The Entrepreneurs’ Programme is the Australian Government’s initiative to improve business competitiveness and productivity. It uses experienced Advisers and Facilitators, drawn from industry, to ensure businesses get the advice and support needed to improve their competitiveness, productivity and to seek growth opportunities. Accelerating Commercialisation grants worth $5.3 million have been offered to assist the 15 Australian businesses undertake commercialisation activities to bring their new products, processes and services to market. HeadsafeIP to complete commercialisation activities to achieve first sales of Nurochek, a portable device to assess traumatic neurological injuries. AJJA Technologies to develop the final commercial version of a new, lower cost sensor technology to detect trace contaminants in water, including further field testing and the establishment of manufacturing processes. The sensor system can be adapted to measure a range of substances, such as nitrates, phosphates, acids and metals for organisations like waste water treatment plants and mining companies. Ongoing trials will measure contaminants in rivers which connect with the Great Barrier Reef. Technology Connections International to commercialise a digital pitch controller called Virtual Jeff for stringed instruments. This device replaces a mechanical whammy-bar used on guitars for over 60 years, improves musician ergonomics, reduces strain and has features impossible with mechanical devices. Traditional Business Online to modify a world leading Virtual Supply Chain (VSC) solution, called the One Touch VSC platform, for the specific needs of the retail butchery industry and to conduct a large scale pilot trial. One Touch VSC optimises the route and movement of a physical asset from the farmer or manufacturer to the business or consumer. Urbanfinity to commercialise Context Map Suite, a revolutionary tool for architects and urban planners. It can achieve rapid, intelligent site analysis for optimised and sustainable urban development, providing a customisable 3D model and analytics for any new project site. Advanced Catering Solutions to help implement two commercial pilots in separate client’s facilities of its QAmC system that replaces the primitive, pen-and-paper processes that prove food safety compliance in large-volume catering operations. It will give end-to-end digital food traceability, raising compliance and increasing operational efficiency, paving the way for global sales. Marrosliving to produce prototypes for regulatory compliance testing of a novel barbeque incorporating a patent protected automated cleaning device and for commercial trials with a number of retailers or distributors. HiveHub to help commercialise and refine the features of a software mapping platform for global use across all organisations with complex software environments. This technology will allow any employee to understand software in a simplified and standardised format (similar to Google Maps, but for the virtual world). Deakin University to commercialise the Rapid Alloy Process, Innovation and Design (RAPID) and establish RAPID as a stand-alone commercial entity. RAPID will provide innovative and complex alloy solutions to the aerospace, automotive, mining and medical sectors. Link4 Australia to commercialise an e-Invoicing service that small and medium enterprises can use with their current cloud accounting system providing small business owners with the ability to send invoices instantly to the government, get paid faster and improve cash flow. Neomorph to commercialise a preformed, remouldable mouthguard for people with orthodontic appliances. The mouthguard will offer maximum protection, control and fit and conform to Australian, British and American regulations. Lumin Sports Technology to help commercialise its ARC platform for global export. This platform for professional sporting teams collects and analyses data from athletes from multiple data points that is faster and easier to use. Genics to commercialise Avian MultiPath, a new highly multiplexed pathogen test for the poultry industry, and achieve major improvements in poultry production and animal well-being as well as reduce input costs. Laconik to commercialise its new technology which combines data science and artificial intelligence to increase the profitability of grain farmers and reduce the harmful effects of excessive nitrogen fertiliser leaching into the environment. The Entrepreneurs’ Programme Accelerating Commercialisation grants help Australian entrepreneurs, researchers and small and medium businesses find commercialisation solutions. generate greater commercial and economic returns from both public and private sector research and facilitate investment to drive business growth and competitiveness. More information on the grant recipients is available at business.gov.au. For more information about how to apply for the Entrepreneurs’ Programme go to www.business.gov.au.